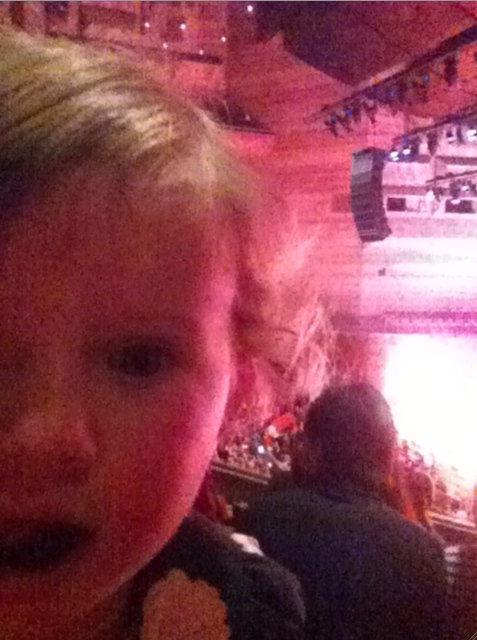 We took Evie to the Wiggles concert at Hamer Hall in Melbourne last weekend. She was absolutely loving every minute of it and actually seemed to go into shock for the first few songs – so much too look at and listen to. The Melbourne Symphony Orchestra were there, along with Dorothy and Wags, Henry the Octopus, Captain Feathersword, Jeff, Murray, Anthony and Greg (not Sam). It was a real hoot!